As you page through Wisconsin Supper Clubs: Another Round, your first inclination is to take a few days off and visit some. As you keep reading, those days turn to weeks. From Gib's on the Lake in Kewaunee, which makes its own pasta and uses locally sourced cheese curds for its poutine, to the Edgewater in Jefferson, which has its own organic produce and chicken, and yes, you can buy their eggs if you bring in your own egg carton. Now not all of you might take to the 80 ounce prime rib at Carlson's Rustic Ridge at Castle Rock Lake, but it's good to know that the salad bar is so popular, it's a popular item to order all by itself. We figured that Ron Faiola closed the book on supper clubs when he created his popular documentary and previous tie-in book, but his new release covers 50 additional clubs from across the Badger State, documenting some of the most exceptional and long-lived restaurants that embrace the decades-old supper club tradition. These are largely family-owned establishments that believe in old-fashioned hospitality, slow-paced dining, and good scratch cooking. Milwaukee-based Ron Faiola is an author and filmmaker who has produced and directed numerous critically acclaimed documentaries. He is the president and founder of Push Button Gadget Inc., which has been specializing in audio visual and business theater production for nearly 20 years. The Olympics are in full swing and while its hard to turn away from your screen, why not take a couple of hours from your schedule to hear author and sportscaster Jessie Garcia talk about Wisconsin's Olympic heritage? Since pioneering hurdler Alvin Kraenzlein got his start here in the 1890s, the Badger State has nurtured, trained, or schooled more than 400 Olympic athletes in a vast array of sports. Wisconsin’s varied landscape and climate accommodate serious athletes whether they compete on ice, on snow, in the water, or land. No matter how an athlete comes to Wisconsin, the state becomes part of his or her Olympic story. Jim Higgins writes about Going for Wisconsin Gold in the Journal Sentinel: "Garcia said she tried to tell each athlete's story in three parts: their childhood and development, their Olympic competition and experience in detail, and their life post-Olympics. While she writes with an amiable voice, Garcia keeps it real here: Not everyone wins a gold medal, and many athletes face painful struggles on or off the field." Award winning sportscaster Jessie Garcia has been covering Wisconsin athletes and Olympians since 1992, first at WISCTV in Madison and then at WTMJ-TV in Milwaukee. Garcia was one of the first women in the country to host an NFL coach’s show and served as the Green Bay Packers’ sideline reporter. Garcia’s work has also appeared on Milwaukee Public Radio and in several newspapers and magazines. A Madison native, she teaches journalism at two universities in Milwaukee, and is the author of two previous books, My Life with the Green and Gold and No Stone Unturned. Boswell will be at the Shorewood Public Library selling Jessie Garcia's books. This is the first in our series of events highlighting higher ed and the Wisconsin Idea. Upcoming programs include Jack Mitchell in conversation with Kathleen Dunn for Wisconsin on the Air on August 17, 7 pm, J. David Hoeveler talking about John Bascom and the Origins of the Wisconsin Idea on Wednesday, September 7, 7 pm, both at Boswell, and Sara Goldrick-Rab, author of Paying the Price: College Costs, Financial Aid, and the Betrayal of the American Dream, cosponsored by Wisconsin Hope Lab, at Milwaukee Public Library's Centennial Hall, 733 N Eight St, Thursday, September 22, 6:30 pm. The cost of a college degree has increased by 1,125% since 1978 - four times the rate of inflation. Total student debt is $1.3 trillion. Many private universities charge tuitions ranging from $60-70,000 per year. Nearly 2/3 of all college students must borrow to study, and the average student graduates with more than $30,000 in debt. 53% of college graduates under 25 years old are unemployed or underemployed (working part-time or in low-paying jobs that do not require college degrees). Professors - remember them? - rarely teach undergraduates at many major universities. 76% of all university classes are taught by part-time, untenured faculty. Sykes's new book Fail U. looks at these trends, as well as his take on current trends in university culture, and asks, "Is it worth it?" About the Author: Charles J. Sykes is senior fellow at the Wisconsin Policy Research Institute and a talk show host at WTMJ radio in Milwaukee, Wisconsin. He has written for The New York Times, The Wall Street Journal, and USA Today and is a contributor to MSNBC. He is the author of seven previous books including A Nation of Victims, Dumbing Down Our Kids, and Profscam. Help the children in your life bridge the summer learning gap. Join MPTV and Boswell Books on a Sound Safari Adventure on August 14, 2 pm at Boswell Books. Pick up your summer reading chart at Boswell Books, keep track of your summer reading, and then celebrate your success with an afternoon of adventure. The event is free and open to the public. Best for ages 4 to 8. The highlight of this program will be a Sound Safari. 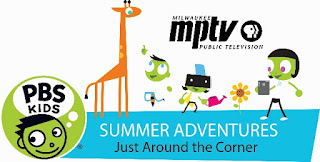 MPTV’s Julie will play a series of sound effects and kids guess what the sounds are. We’ll talk about places and the sounds we hear there and how sound is different in different places. The forest doesn’t sound like a swimming pool! Together we'll make a sound-effect rainstorm, and then we’ll discuss how when you read, you have to imagine the sounds in the books. And that’s how reading inspires our imagination!